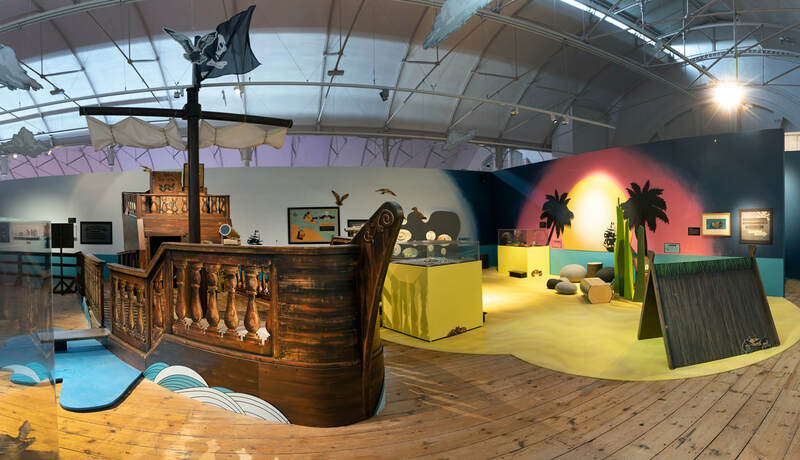 The Museum of Childhood in Bethnal Green asked us to design their exhibition about the history of toys, books and games about piracy. 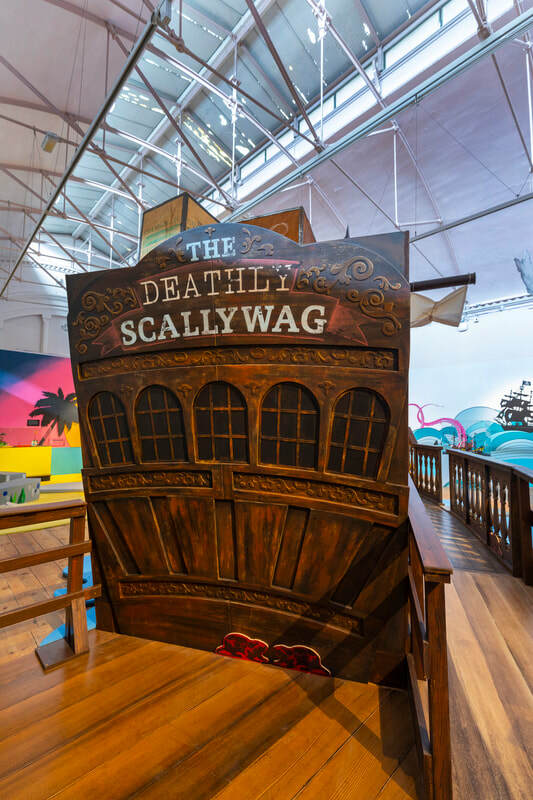 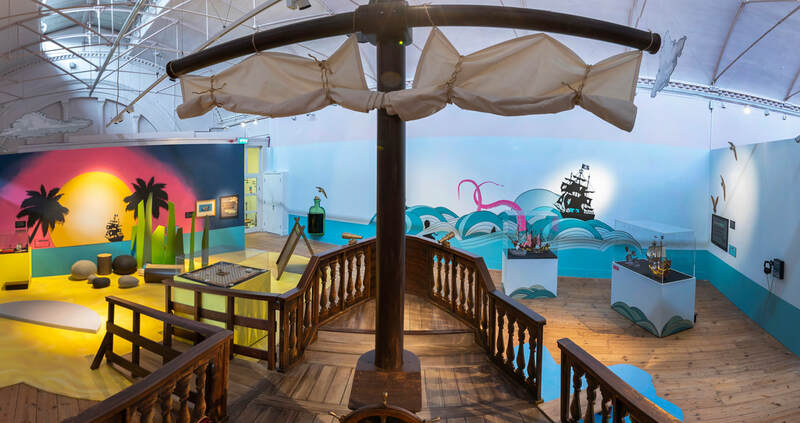 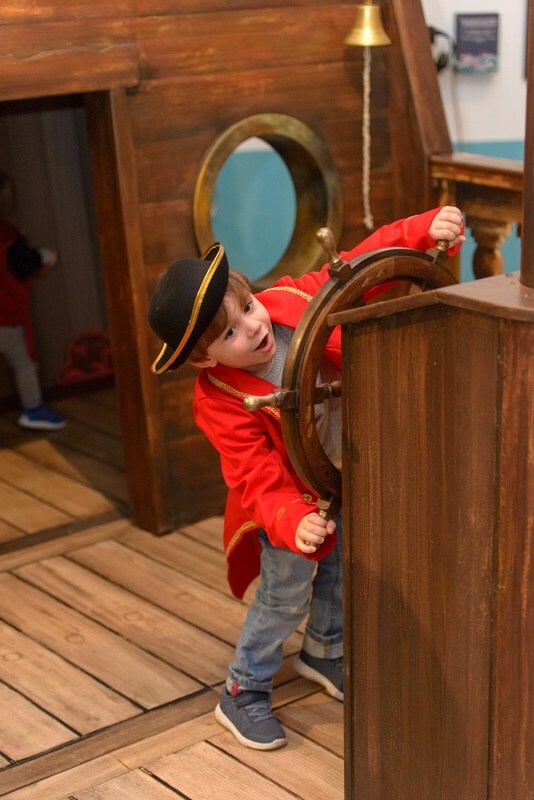 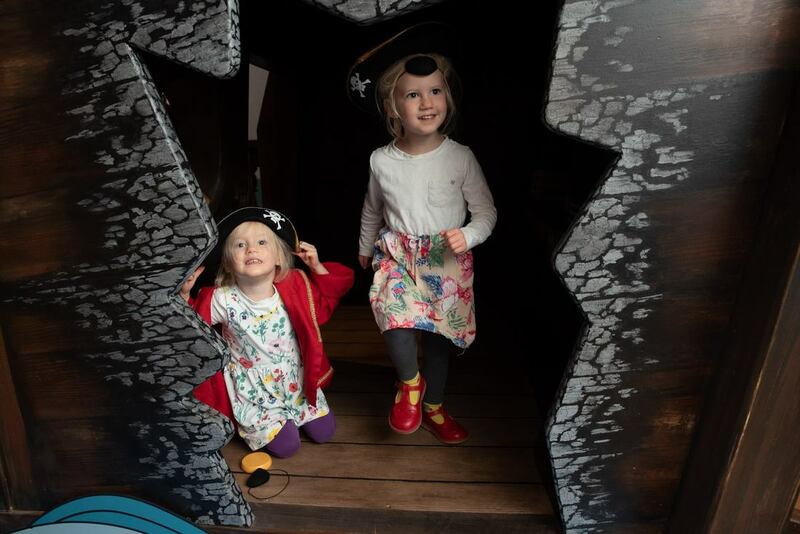 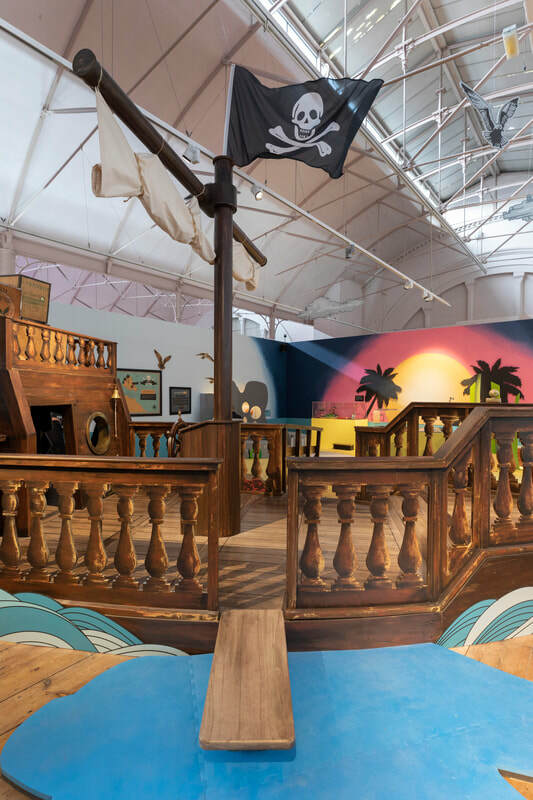 Aimed at two to eight year olds, the museum wanted a truly immersive play space featuring a pirate's tavern, a play ship and Treasure Island and all on quite a tight budget! 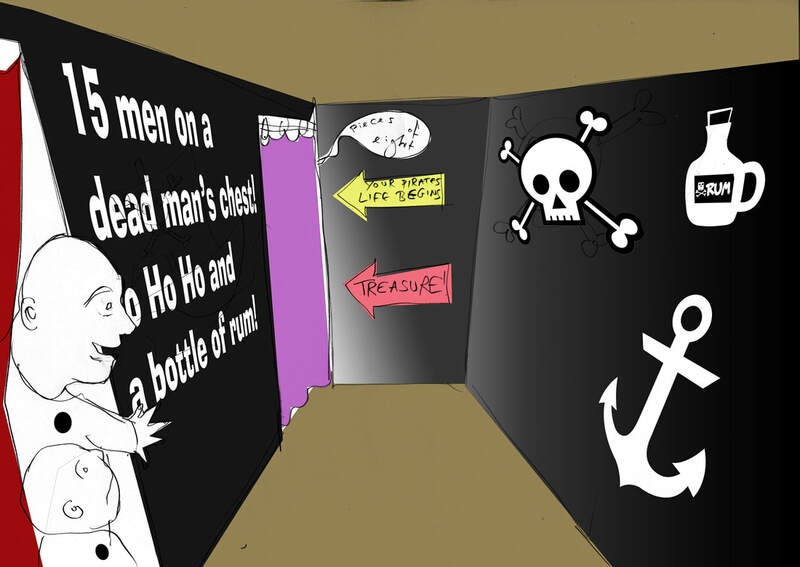 Low-tech interactives including props and role-play provided pirate-themed activities throughout. 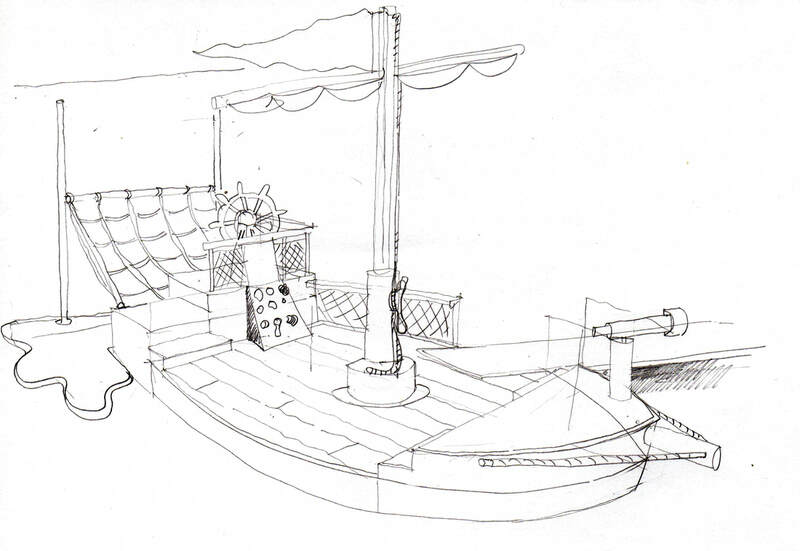 We extended their brief, designing a sequence of spaces that allowed visitors to arrive in the street of a port, with a view across the harbour wall to the ship beyond, before entering the tavern. 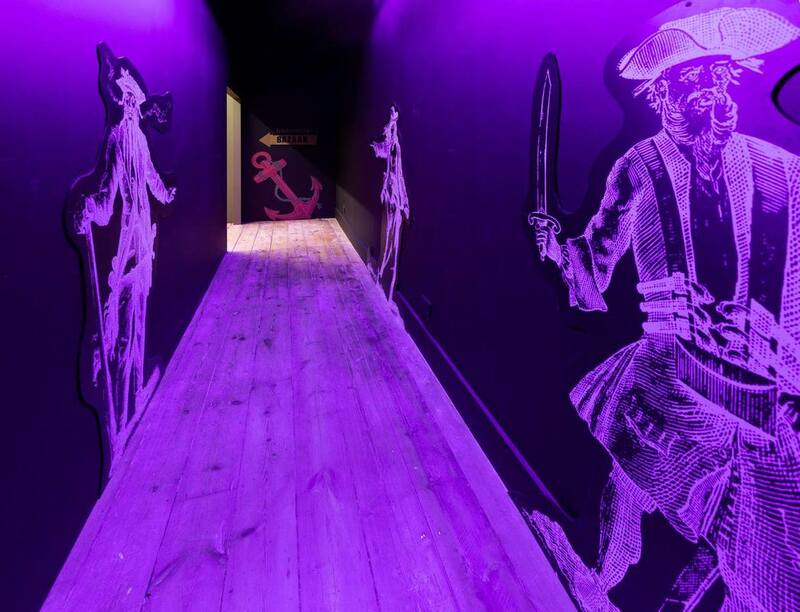 Following clues on a Pirate map they leave the tavern, crossing over to 'the dark side’ by going behind the bar and entering a dark spooky corridor for pirates only. 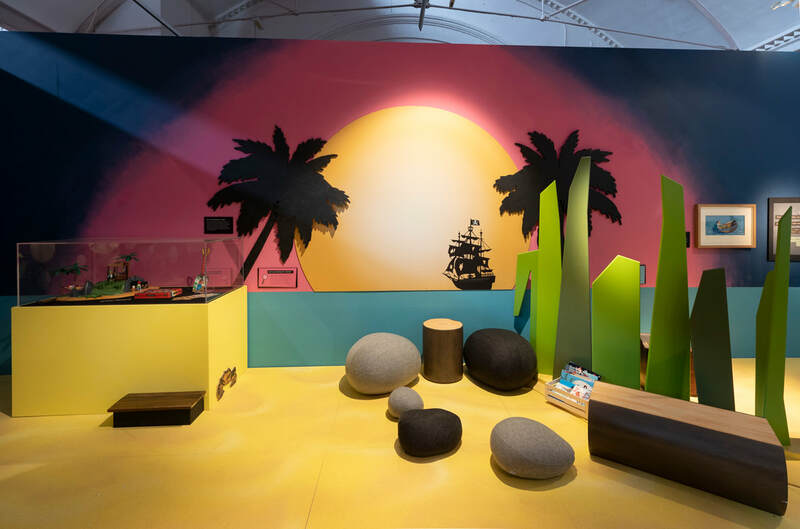 After its six months at the Museum of Childhood, the exhibition will go on tour, so we designed all exhibition components to be modular and adaptable to whatever gallery space it docks at next. 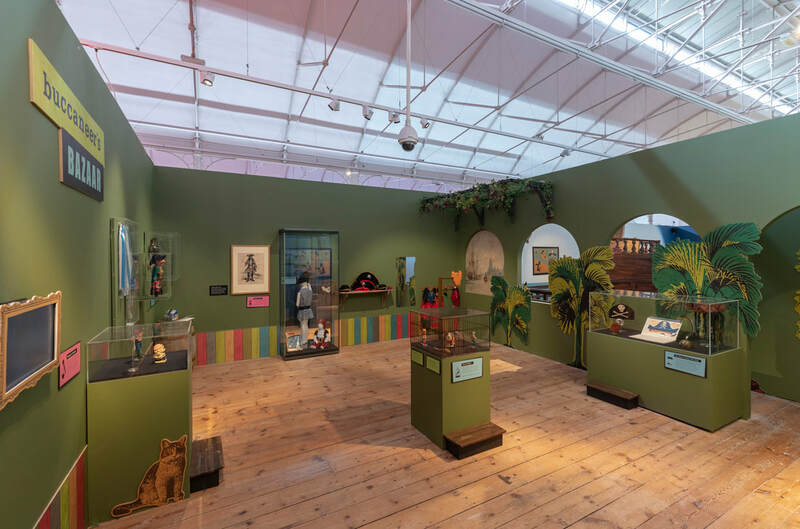 "...this is an exhibition you could happily bring boys, girls and their parents to and know that everyone would have fun. 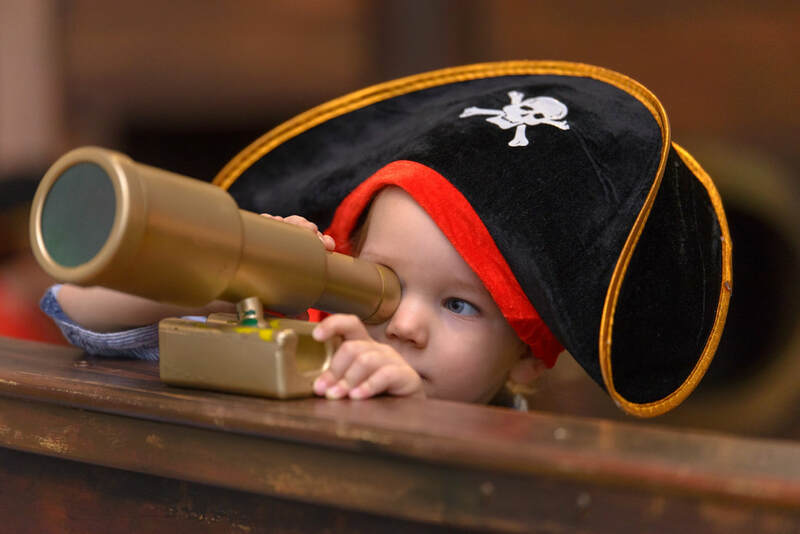 My one piece of advice is to get there early – it’s going to get full enough to want to push several pirates off the plank." 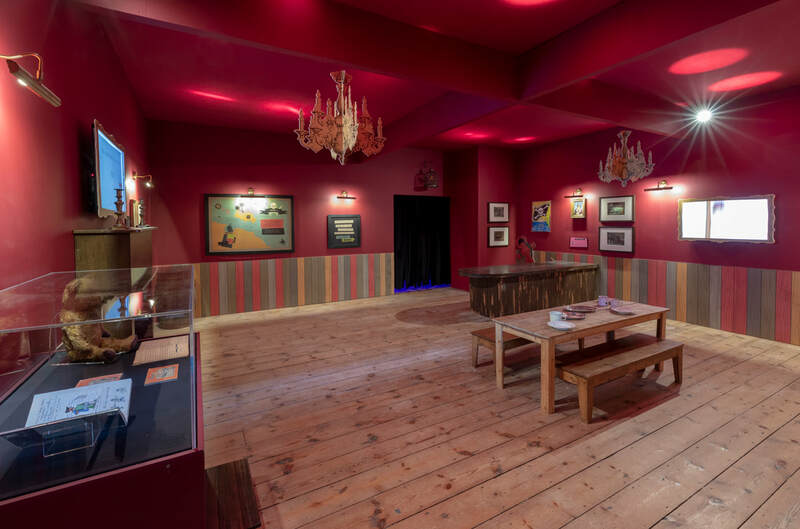 "Got Kids? 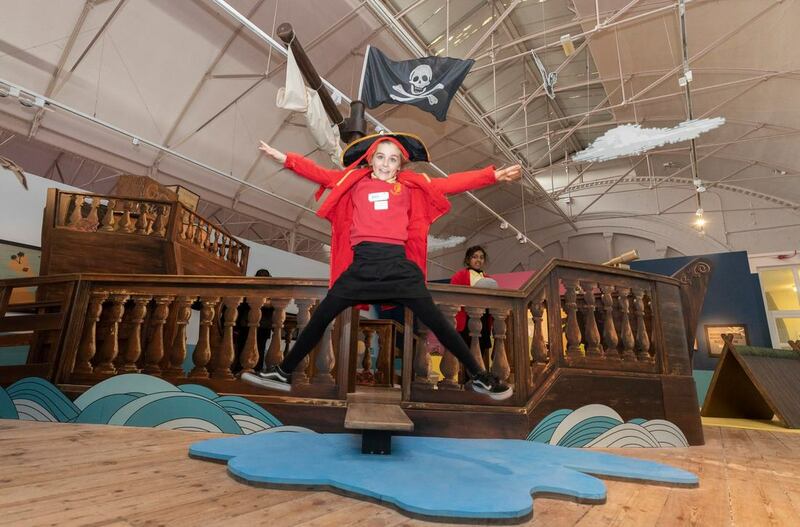 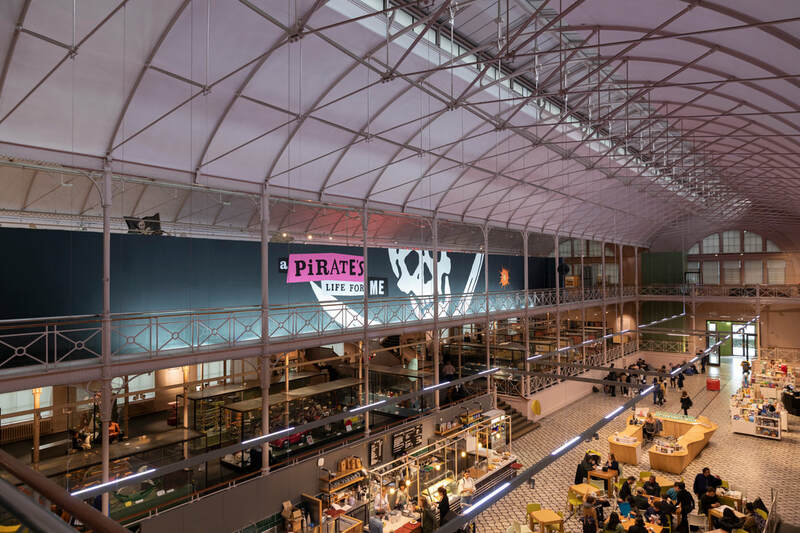 New Pirate Exhibition At Museum Of Childhood Buckled Our Swash"
"Basically, it's just one barnacle-encrusted excuse to go 'Yeaaargh!!!' 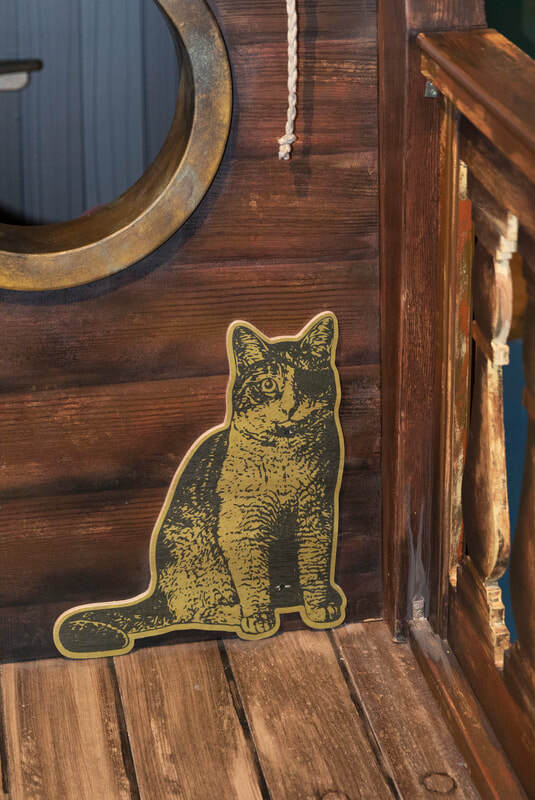 a lot with your family."